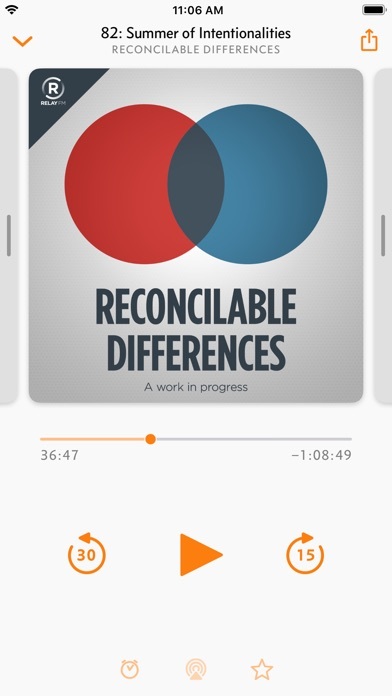 I have put a lot of time into comparing podcast apps and this one offers the best features, for free. 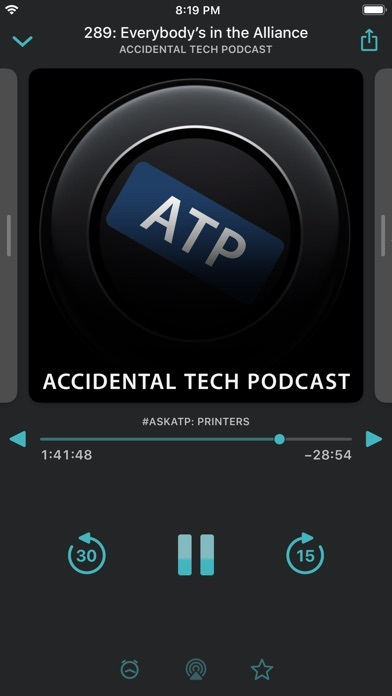 You cannot beat Overcast with any other app, paid or not. I've been using Overcast for years but this most recent version is by far the best. I didn't think such small additions would make such a big difference. I've never had issues finding the functions such as speed controls or chapters, but the buttons just make them easier to access. And the Bluetooth device being spelled out on the play page is amazing. I use airpods and other Bluetooth Devices and the comfort of knowing which device it's targeting at a glance is such a relief. I used to constantly check to make sure airpods were selected so I'm not blasting podcasts I'm the office. Please keep this feature forever. Thanks Marco! Always great -- version after version. 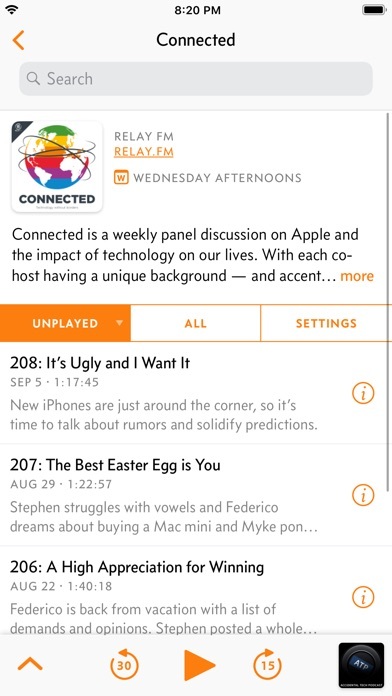 Awesome app, makes my day so much better to listen to podcasts -- and Overcast is the best way to listen. Hands down the beat podcast player on iOS. I’ve tried them all and have stuck with Overcast. For months I trialed and tested all of the major podcast apps including Apple’s own podcast player app;after the podcast player dust settled, Overcast stood alone at the top! Overcast is the best podcast player available today. 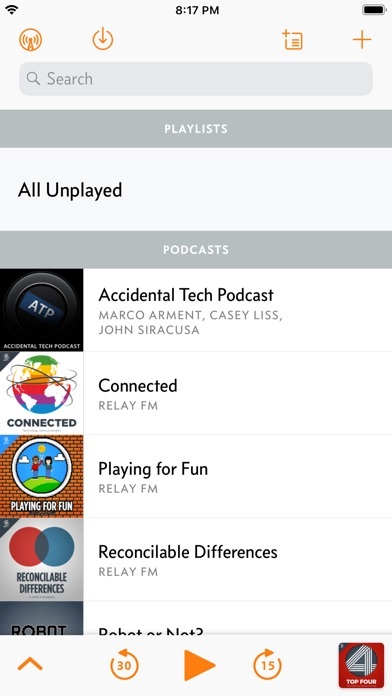 It has everything you need to easily get and enjoy your favorite podcasts. 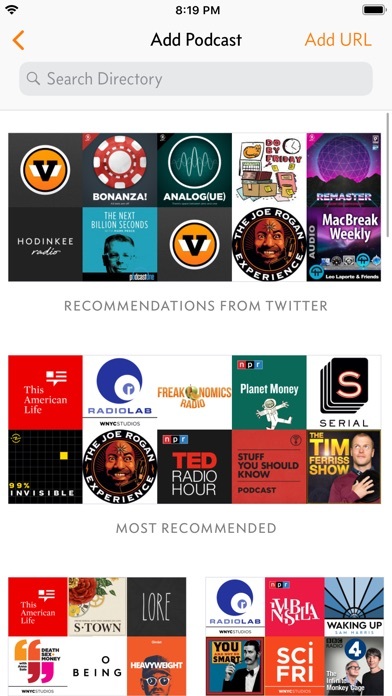 I’ve tried a bunch of podcast apps, on a quest for the features I wanted. The search is over! Overcast is my podcast solution and home. It gives me control over all kinds of fiddly things, and I adore that. Really good UI. Highly recommended! Way better than the stock iPhone app and great controls. I also really love the settings that allow you to change small details of the app you wouldn’t even think about. Thank you Overcast!